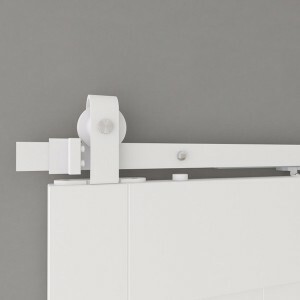 This sliding shed door hardware is top mount style. It is painted into all matte or glossy white. It’s new for decorating.